Was Harburg a miniaturist faced with the dilemma of not having enough accessories for a photo shoot? 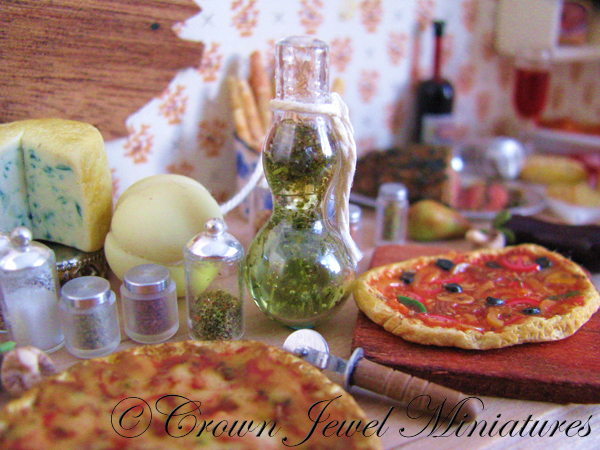 It happens all the time- I finish making miniature food and brainstorm a picture setting only to discover I don’t have the props I’d envisioned. I’ve become an avid collector of mini kitchen accessories and gadgets but nothing beats the satisfaction of making it yourself especially when you need it and need it fast! 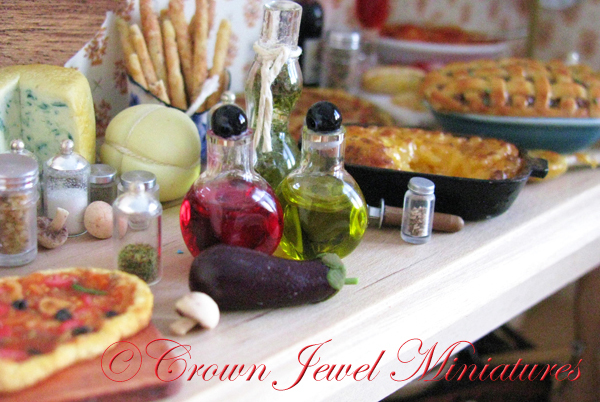 I make lots of minis to use as props and for my last photo shoot I whipped up a few herb-infused olive oil bottles and filled spice jars. As you can see they’re chub bottles, just a fraction larger than true 1:12 scale but they’re pretty convincing especially when nestled with a variety of other miniatures. 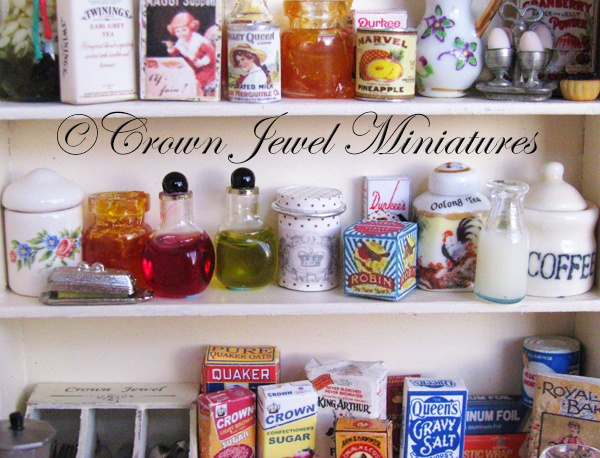 It helps if you have a good collection of beads and jewelry findings. 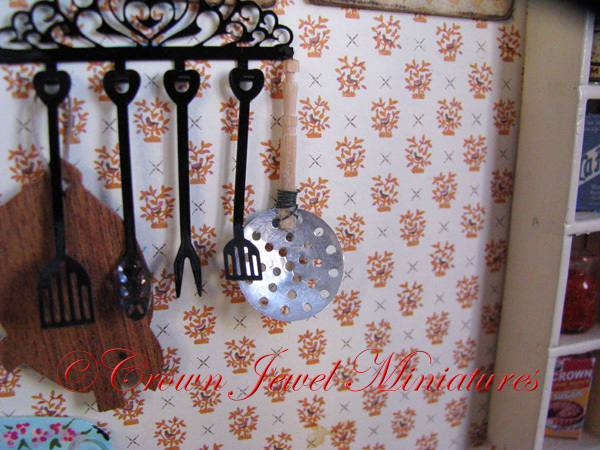 I’ve used antique beads to make grated cheese shakers and toothpicks were handy when I needed a wooden spoon and then a sieve. Here’s a picture of my sieve, it’s not much but it looks great in the background of a pasta cooking scene or beside a wok! It’s not always easy especially when you had a quick photo shoot in mind but with a little imagination and a few odds & ends you can make what you need in a pinch!